In the last year, Marcus & Millichap has led the industry with over 3,500 transactions * . Let this unmatched experience and expertise in the retail industry help you maximize your investments. 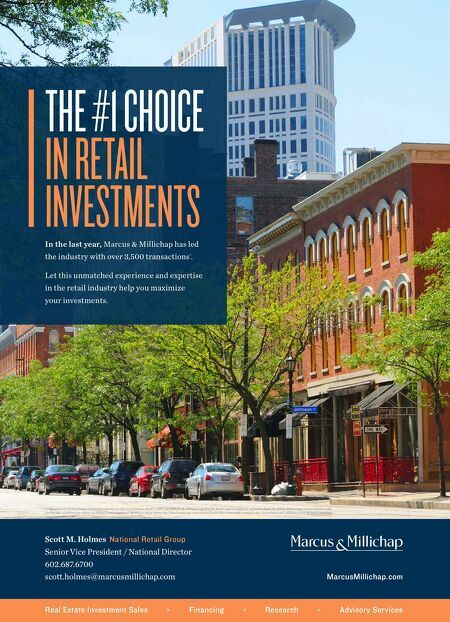 THE #1 CHOICE IN RETAIL INVESTMENTS Real Estate Investment Sales » » » Research Advisory Services Financing MarcusMillichap.com Scott M. Holmes National Retail Group Senior Vice President / National Director 602.687.6700 scott.holmes@marcusmillichap.com *TRD analysis of closed sales of retail properties in the U.S. between April 1, 2017, and March 31, 2018, as reported by Real Capital Analytics (accessed April 18, 2018). 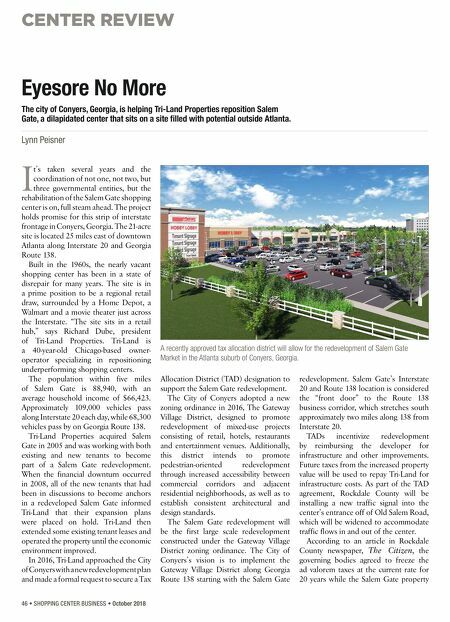 Brokerages received full credit for the sale as either the seller's or buyer's representative. However, deals where the same brokerage represented both sides were only counted once. Franchises and affiliates were grouped together.